Cloud Computing is emerging as the new trending technology for storing, sharing and processing data. Smart home is one of the Internet of Things (IoT) applications that is following this trend. However, sensors and smart devices are generating data that may reveal personal information about home inhabitants. Therefore, outsourcing sensed data from smart home to the cloud is raising serious privacy concerns. In particular, when untrusted third party cloud services are accessing personal identifiable information (PII) beyond their collection purpose. One privacy preserving approach consists of encrypting the data, before it is outsourced to the cloud, according to user settings. 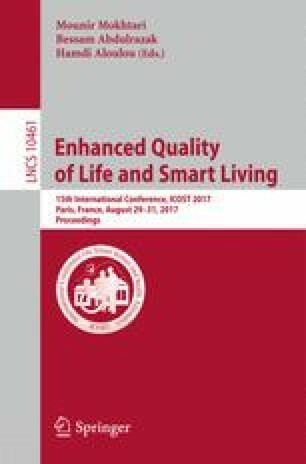 In this paper, we target preserving data privacy of smart home inhabitants. For this purpose, we proposed an architecture integrating attribute based encryption (ABE) schemes to the Smart Home Middleware ‘Openhab’. To evaluate our framework, we conducted experiments to measure the performances and the overheads introduced by the proposed privacy preserving solution.